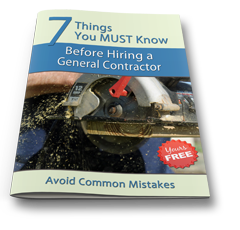 In this article we would like to discuss the most frequent questions asked by potential customers that often cause the conflict between a customer and a contractor. Very often one might come across customers' complaints about the total cost for the repair that appears to be pretty higher than originally expected. Is it possible? Yes. Why? Let us clarify this. We need to say that we would ignore the situation (that unfortunately occurs) when chasing customer, the contractor intentionally provides underestimated numbers and when the customer is on the hook anything can be done. Let us view the standard situation. You decided to do repair, choose several companies and ask them to prepare a cost estimate. Immediately many questions arise: e.g. "Is it possible to prepare a cost estimate accurate to a gulden?" In general it is possible. But for this you would need a detailed design with the drawings, specifications, list of materials etc. It would take several months and more to do this kind of cost estimate and 2-3% of costs would be allocated for contingencies. Let us be realistic. Over eight years experience in managing the enterprise we had a chance to deal with such projects several times. In the best case the design finishes at the stage of general drawings with further stage-by-stage delivery of detailed drawings. Sometimes we receive general outlays, rough design outlines etc. But the most frequent situation is as follows: nothing is available or "please do for me what you see in this magazine". Can you specify what exactly you want? Who knows? Can you propose something as a professional? Over several minutes of conversation with you the estimator has to guess what your taste is and propose to you some options as well as make your dreams, desires, unclear outlines and all that you thought during long evenings come true in the form of concrete numbers. Actually cost estimate is the plan for the repair of your apartment with connectivity to concrete materials (for example in the bedroom painted wallpaper and in the children's room plain wallpaper will be used) with showing average prices for them. 1) Work with the designers as possible. The costs you incur for the design work will be generously repaid. You will look at the repaired apartment beforehand, not when everything has been done. It may appear that what you have planned is not good for your apartment or the material that you like is too expensive and there is a better option for you. Cost of redesign on paper is not so high. 2) While preparing cost estimate it is necessary to make a list of work and take some decisions (e.g. here laminate and there glaze-tile will be installed etc). 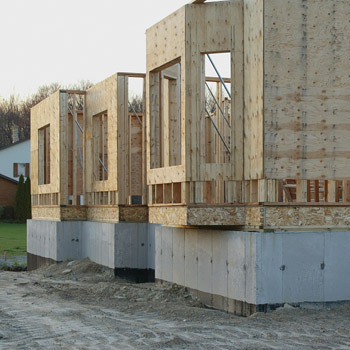 It is also necessary to discuss what quality and price of materials will be used in the cost estimate. 3) A customer should make sure that it is impossible to envision everything in this document. Before work start one can not identify what area of the wall should be plastered and what area should be only aligned and what exact quantity of materials would be used for this. Even for the detailed cost estimate a customer should envision a reserve of minimum 0-15%. In this case it is better to include more in the document and get lower actual spending. Besides you pay for specific work and material at specific price. So, the higher amount and range of work as well as material prices, the higher cost of work. Obviously any repair is related to inconveniency and any customer would want to finish it as soon as possible. But let us not become heroes of popular TV shows that describe how brave contractors over one day glue the wall paper, put the glaze-tiles, install the wiring and even eventually clean everything with the vacuum cleaner. One should realize that there are some activities that can not be done in rush. If it is required to dry the aligned wall before putting the glaze tiles, this should be done, no matter how long it would take. If it is required to glaze and clean the wall 2-3 times before putting high-quality paint, this should be done. Violation of the technology and required terms will lead to additional customer's cost. All mentioned above is true for the quality of work. Besides, there are also two significant factors. To great extend the quality of work depends on the quality of materials. We all want to save the money but you should avoid absurd situation when you assign work with the high cost materials to people earning pences. A good master should be highly qualified, earn good money, use good tools and take responsibility for his work. IV. "If I pay, do what I want"
Magic words... but let me notice that there are objective phenomena that can not be ignored. For example without special measures one can not make aperture work or remove load-bearing wall no matter whether someone wants it. And quality glaze-tiles can not be installed on the cement, only on the special glue. And for specific paint specific filler should be used, not the one that was found at low price. A good professional who value his work would explain why your desires sometimes cannot be satisfied and would rather refuse to do the job than do something wrong. 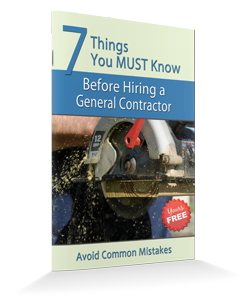 We hope that this article will help you to find a good contractor. In all your undertakings follow the slogan: Entrust your work to professionals.